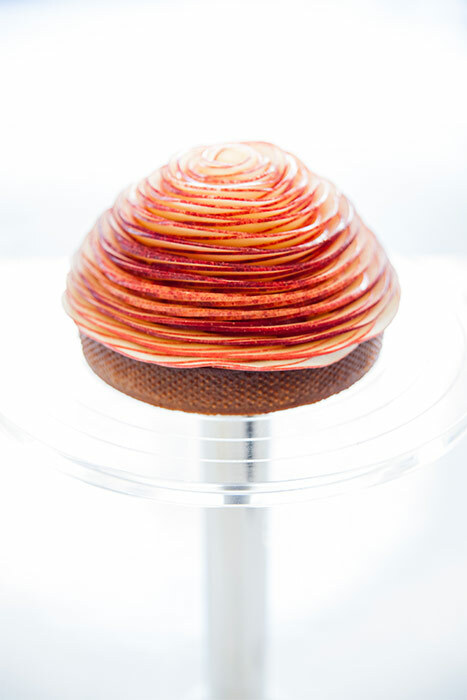 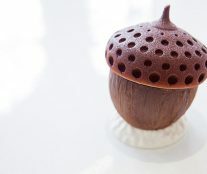 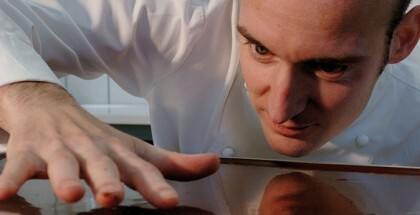 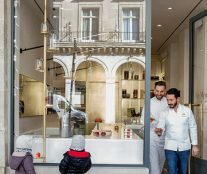 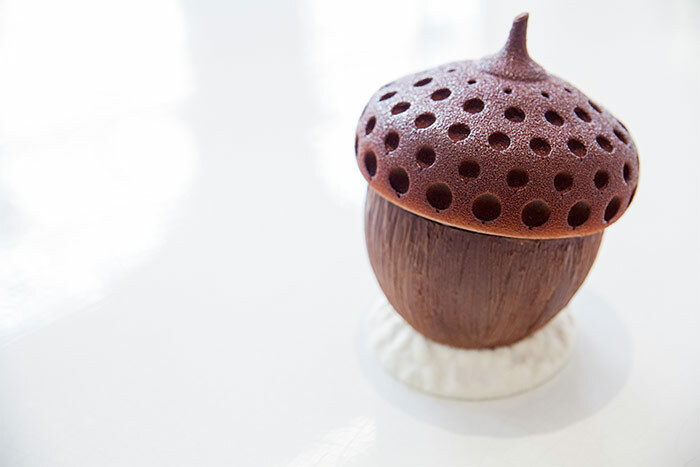 On March 20, the pastry shop Le Meurice Cédric Grolet opened its doors on 6 rue de Castiglione, in the heart of Paris. 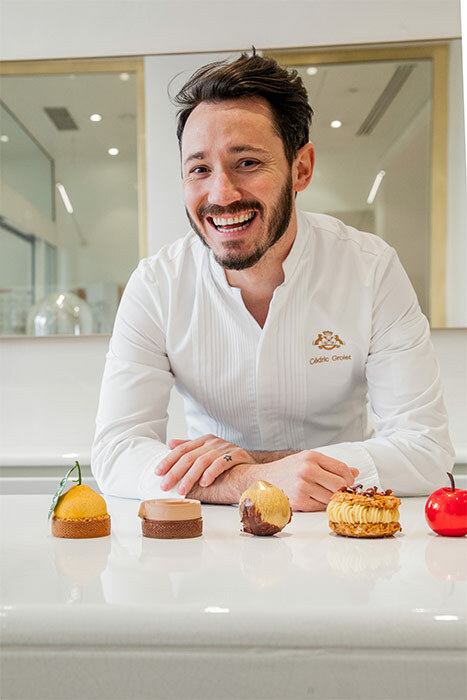 A great opportunity to discover and acquire the daring creations of Cédric Grolet, Chef Pâtissier at the restaurant Le Meurice Alain Ducasse, elected World’s Best Restaurant Pastry Chef 2017 by the Association Les Grandes tables du Monde and author of the book Fruits. 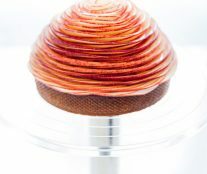 Wrapped in subtle fragrances, the establishment presents unique pieces that have made the chef popular like his trompe-l’oeil fruit replicas in extra clear glass boxes. 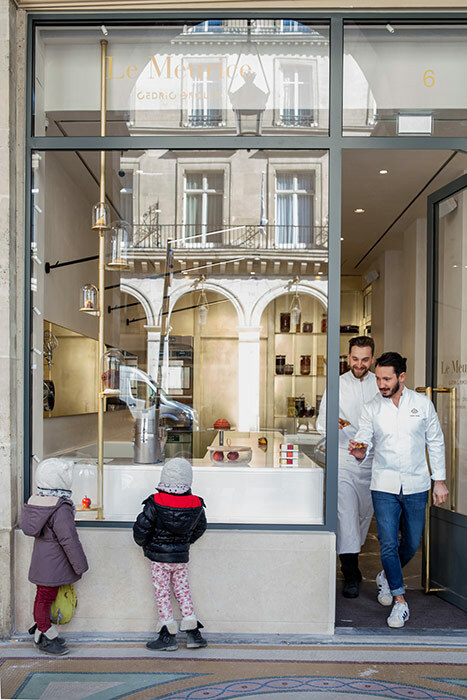 Simpler creations, not easier ones, such as muffins fresh from the oven, fondant cookies, and kouglofs with brioche dough are also part of the offer of this boutique. 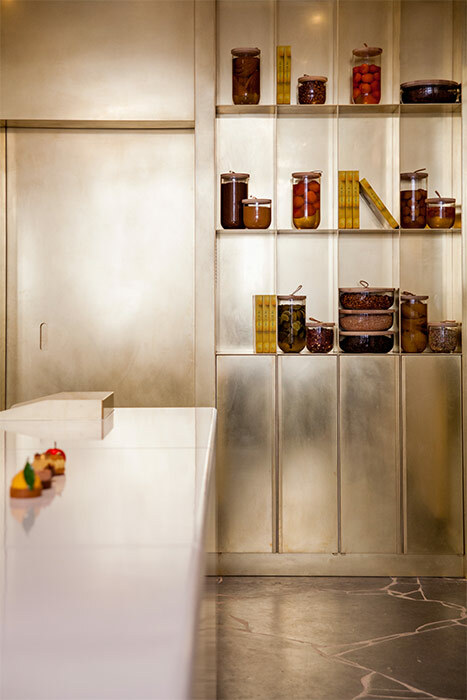 For this project, Le Meurice and Grolet have had the collaboration of the collective of French architects Ciguë, who worked for several weeks side by side with the pastry chef to immerse themselves in their creative universe and be able to transmit it. 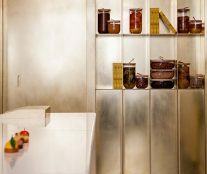 Their choice of materials (enameled lava, waxed brass, blown glass bells, Hainaut stone quarries…) gives the space an ultra-modern air.